High-quality preschool gained momentum during the last decade as one of the most important education reforms to bolster school outcomes and life-long success. Breakthrough research from communities across the county have spurred investments at the federal and local level, including PRE4CLE, Cleveland’s plan to ensure that every Cleveland child can attend a high-quality preschool. Deborah A. Phillips, Ph.D., Professor of Psychology at Georgetown University, is part of a research team that has followed the impact of universal Pre-K in Tulsa, Oklahoma since 2001. One of the first communities to offer universal preschool, the Tulsa research offers an in-depth look preschool’s impact not only on test scores, but also on other important factors for success such as retention rates and attitudes towards school. Dr. Phillips will also address how the Tulsa findings fit into a national body of research on the impact of high-quality preschool and science of early brain development. 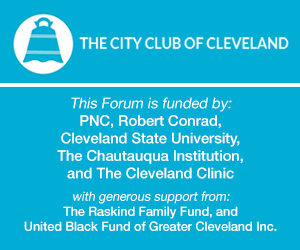 Dr. Phillips will also be joined by Katie Kelly, Executive Director of PRE4CLE, and Rebekah Dorman, Ph.D., Director of Invest in Children, for a panel discussion about how these findings are shaping local preschool policy in Cleveland. This conversation is moderated by Sound of Ideas host/producer Michael K. McIntyre.